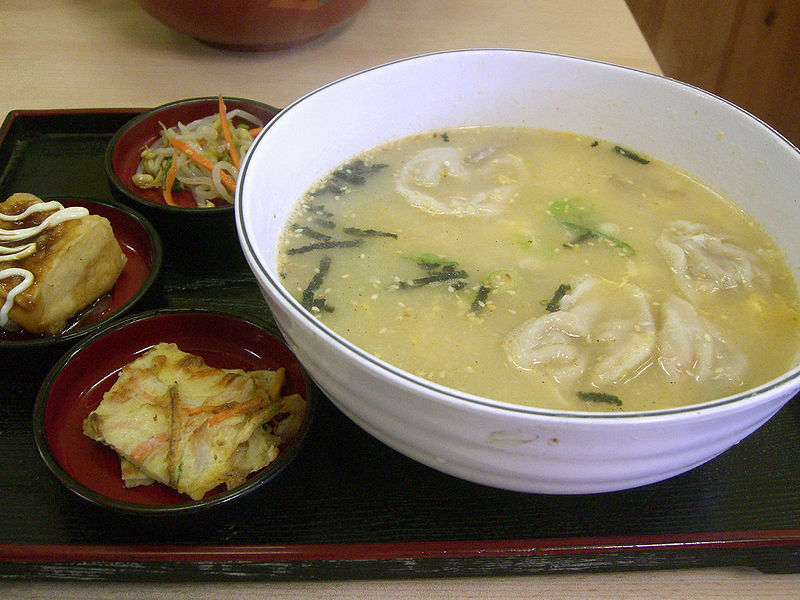 Mandu are dumplings in Korean cuisine. First brought to Korea by the Mongols, they are similar to what are called pelmeni and pierogi in some Slavic cultures. The name is a cognate to the names of similar types of meat-filled dumplings in Central Asia, such as Turkish manti, Kazakh manty, and Uzbek manti. It is also a cognate with the Chinese mantou, although mantou is a steamed bun rather than a dumpling. In Korean cuisine, mandu generally denotes a type of filled dumplings similar to the Mongolian buuz and Turkish manti, and some variations are similar to the Chinese jiaozi and the Japanese gyoza. 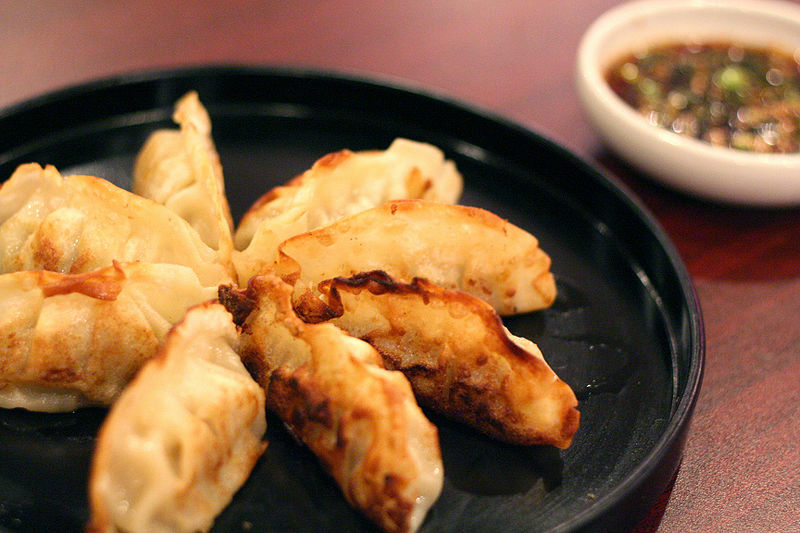 If the dumplings are grilled or fried, they are called gunmandu. Mandu are usually served with a dipping sauce made of soy sauce and vinegar. Manduguk is a variety of Korean soup (guk) made by boiling mandu stuffed with ground meat, and another filling in a beef broth. Generally, eggs are added in the manner one makes egg drop soup, sliced gim (laver) is added on top as a garnish.